The 2017-2018 school year is officially underway for CEOGC’s Head Start students! With goodbye hugs from parents a cheerful song with classmates and teachers, students at the Carl B. Stokes Head Start center began their new school year on Tuesday. 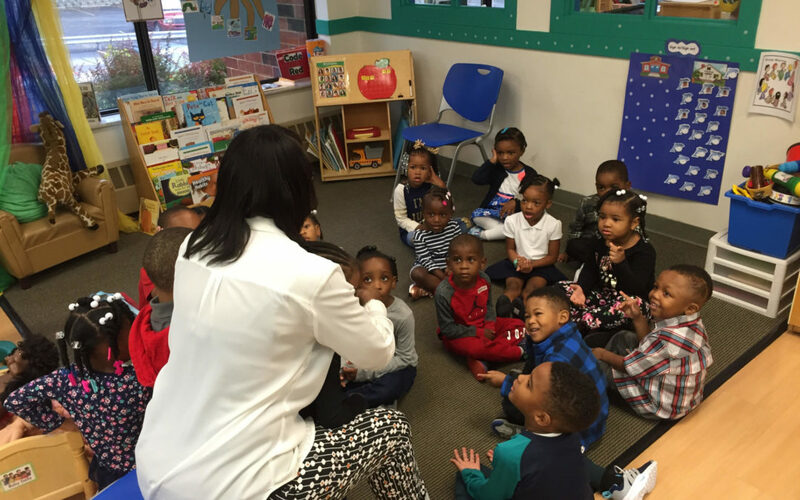 Nearly 2,000 additional students at CEOGC’s other Head Start centers across Cuyahoga County did the same. This school year is sure to be an exciting one for the students and their families! The first certified outdoor classroom is set to open at our Louis Stokes Head Start center this fall, our Friendship through Reading program will continue at all of our centers throughout the year and families will be provided with information about our upcoming job and career and personal and professional development workshops at our Neighborhood Opportunity Centers. Congratulations to all of our Head Start students, families and staff on the start of another school year. It’s not too late to enroll in CEOGC’s high-quality Head Start program for this year. Click here or call (216) 589-9922 to enroll now!